The first step to online training is signing into my.scouting.org. If this is your first time logging in, you will need to create an account. Individuals with current or previous scouting membership should enter their BSA Member ID number when creating an account. If this number is not known, contact your unit leaders or the Boy Scout office. Once logged in, navigate to the menu at the top left of the page and then click on “My Dashboard”. You should now see the training menu. If you do not, click on the three lines under the “My Dashboard” menu at the top left and select “My Training”. Youth protection training is valid for two years, but must also be valid through the entire registration year. This stipulation essentially means that you will need to retake youth protection training every year. Click on either “Take Course” or “Retake Course” to the right of the youth protection training line. The training module will now load in your browser. Complete the training and print off the certificate at the end. This certificate should be submitted to your unit leadership as proof of taking the course. For a list of required position specific training courses, see our adult membership procedures page. Click on “Training Center” in the top center of the screen and then click on “Cub Scouting” to see the course listing. This listing includes position specific courses as well as supplemental training. Click on “Take Course” next to the leader position you are in. You will now be taken to the ScoutingU website. From here you will need to load individual training modules into your “My Learning” profile. 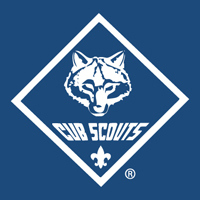 Click on “Cub Scouting” in the center of the screen. Click on “Select A Training Program” and then select your position from the list. Each scouting position has several required learning plans and each learning plan has multiple lessons. When you hover your mouse over the learning plan, a plus sign will appear to the right. If a plus sign does not appear, that plan is already loaded into your profile. Click the plus sign for each of the plans listed under your position. Once the plans are loaded into your profile, click on “My Learning” at the top of the screen. You will now see a list of your loaded learning plans. Click on each one to display the individual sections for that plan. Click on the arrow at the right of the section to launch the course. But first you will see a screen with a line reading “Click here to launch the course…”. Click that text to open a popup window that will start the training video. Most training sessions open one or more popup windows. Keep these windows open until the session is complete. Also let the video and audio play to the end. Failure to do this could result in your completion not being recorded. As you complete each section, your progress will be tracked on the learning plan screen and on the position screen. You are not officially trained until all the sections have been completed.